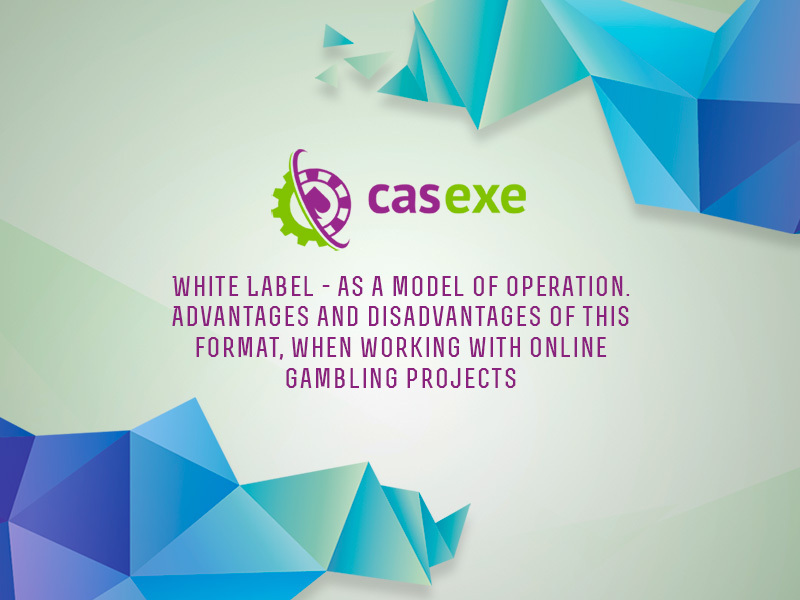 September 15, CASEXE held a webinar on topic: “Principles of White Label functioning in online gambling. Advantages and disadvantages for operators”. Roman Oleynichenko, the customer manager of the company, was the main speaker of the webinar. According to official data, around 80 people attended this online event, a fact that arguably proves vivid user involvement and strong interest of the audience in such turnkey gambling products. At the end of the webinar, the speaker was asked a number of questions, including the possibility of conducting industry activities in the Russian Federation. Oleynichenko commented that online gambling in Russia had been temporarily prohibited (online betting is an exception, as it is on the list of gambling activities), however, pointed out that entrepreneurs can turn to Curaçao, which is considered to be one of the best gambling offshores. It is reported that within three weeks the company will be able to become a licensee for the local regulator and the price of the permit varies from 18 to 20 thousand dollars. The expert drew attention to the fact that CASEXE provides assistance to operators in acquisition of licenses, however, in case with White Label solutions, no additional assistance is needed. This turnkey product has already got a license and operators do not need to obtain additional permits after purchasing it. Oleynichenko pointed out that one of the main drawbacks of White Label is its complete dependency on the licensee and offered to consider individual White Label projects as a business strategy. The concept of an individual project is almost similar to the basic White Label project, however, the only difference is that operators need to acquire licenses on their own. "We charge a smaller monthly percentage, there are no monthly payments as well as preliminary “depositing” in case of winning. It seems to be a perfect solution for those who want to launch a project as soon as possible. In any case, it is more profitable to purchase a project and get a license within assistance of experts from CASEXE”, said the speaker. ► Assistance in all types of matters including technical and legal issues by CASEXE experts. Please note: CASEXE admits White Label order requests on its official page. Contact our manager Roman Oleynichenko via r.oliinychenko@casexe.com.